If you had to pick the best invention ever, what would you choose? Antibiotics? The light bulb? Straighteners? Well, all of these are very good but nothing and I mean nothing measures up to the pom-pom maker. Seriously, I have spent my life cutting circles out of old cereal packets and struggling to get balls of wool small enough to fit through the hole in the middle. All you do is line up the two plastic circles, open them up, wind wool around each semi-circle, join the two halves back together, cult through the sides, tie off the middle and voila. Rather than one pom-pom taking an entire evening, with these little beauties you are looking at three pom-poms just in one episode of Eastenders. You can change them according to the season and, unlike fresh flowers, they never die. Your choice of yarn colours. Put the paper straws into your chosen vase or bottle and see how many will comfortably fit in there. This will be the number of pom-poms you should make. As my bottles were small, I just had three to a bottle. 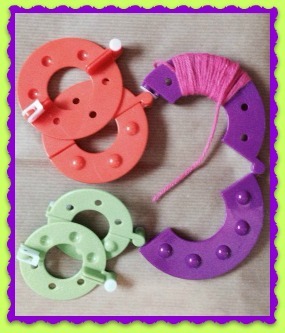 Make your pom-poms but when you tie the bit around the middle, leave a long bit hanging down. Thread your long bit of yarn through the straw and arrange. There is your quick and simple ornament or centre piece. 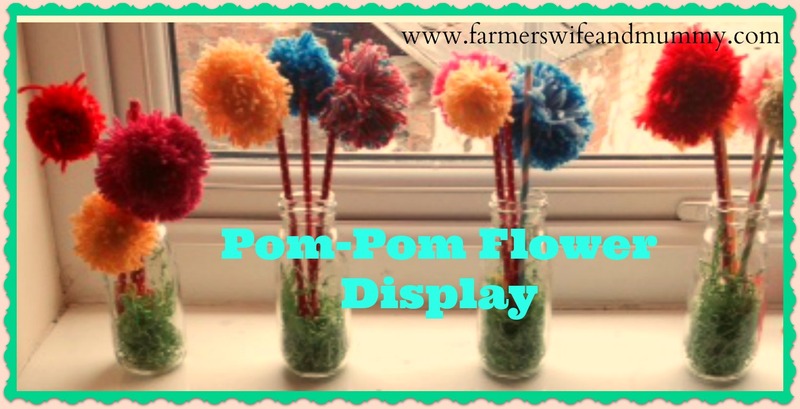 You can vary the length of your straws and the sizes of your pom-poms for effect. You can also colour coordinate the straws to your yarn or keep them all the same. It is completely up to you. 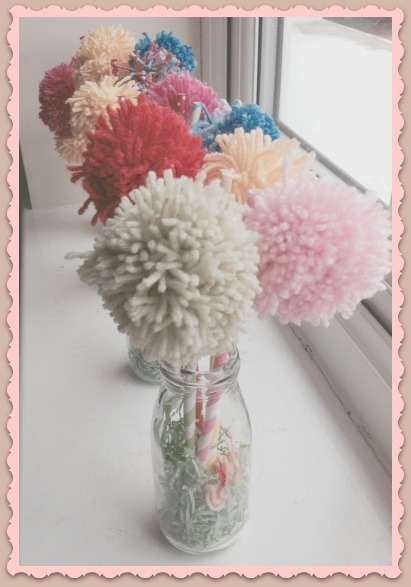 I am so pleased with my pom-pom vases, I am now looking for other things to pom-pom. This would be a nice activity with children too. *Obviously if you can’t see through your vase, you won’t need the paper. 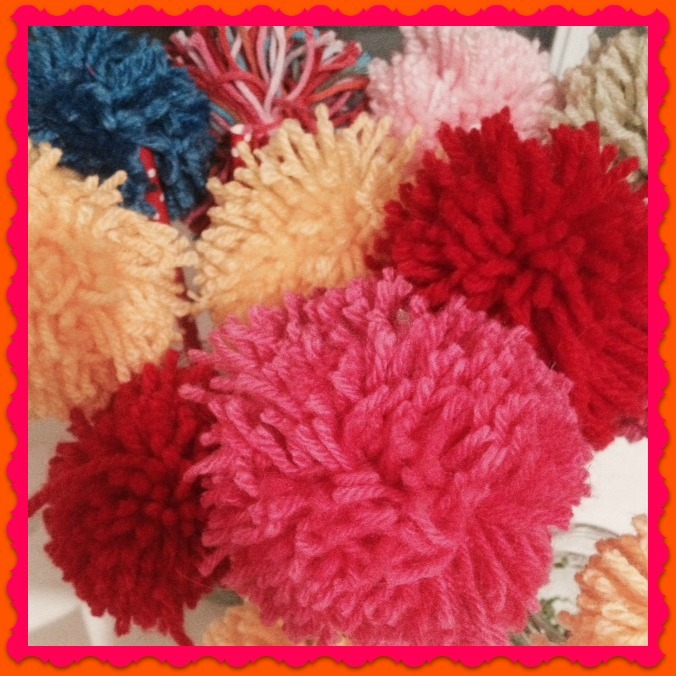 *We were kindly sent the pom-pom makers by Baker Ross but all opinions are my own.